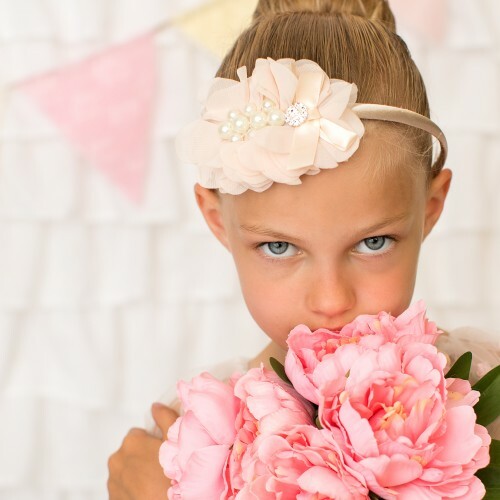 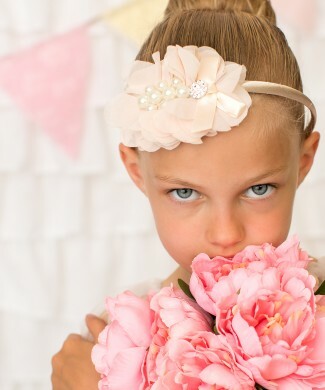 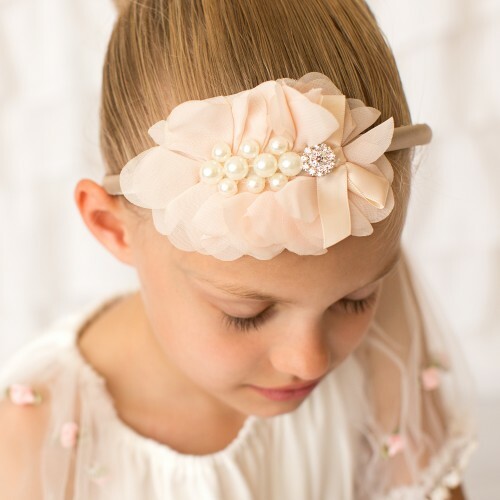 Chiffon flower in peach decorated with pearls and rhinestone on a satin alice band. 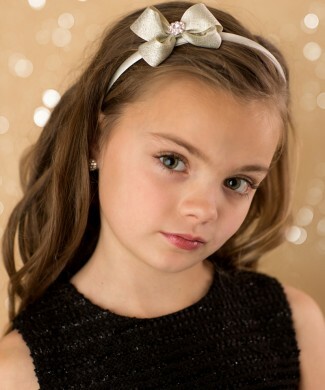 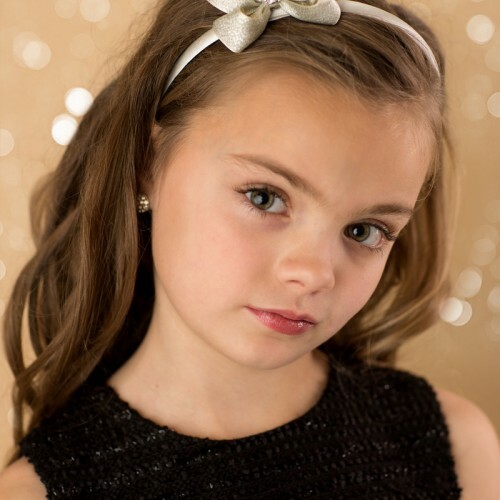 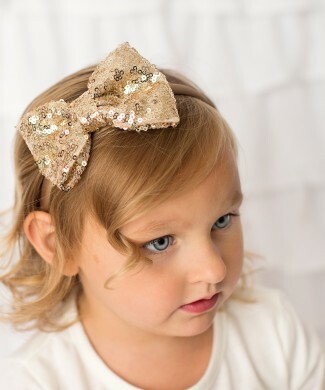 Dusky pink glittery sequin bow decorated with rhinestone. 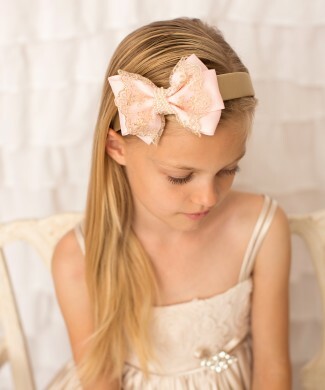 bThe alice band is wrapped with satin. 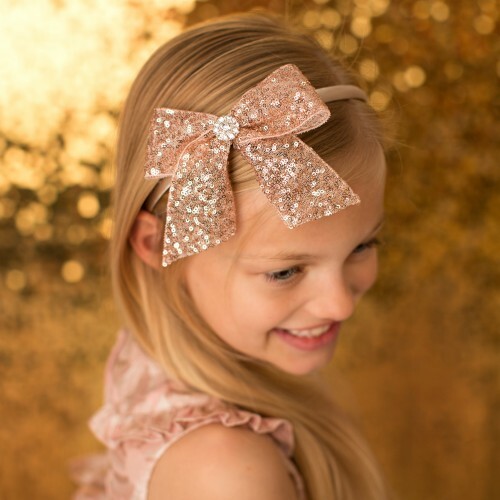 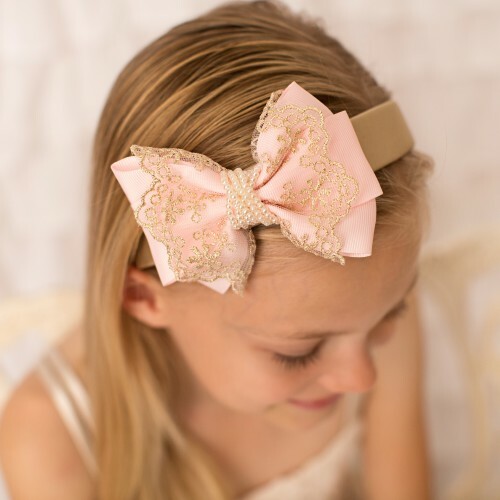 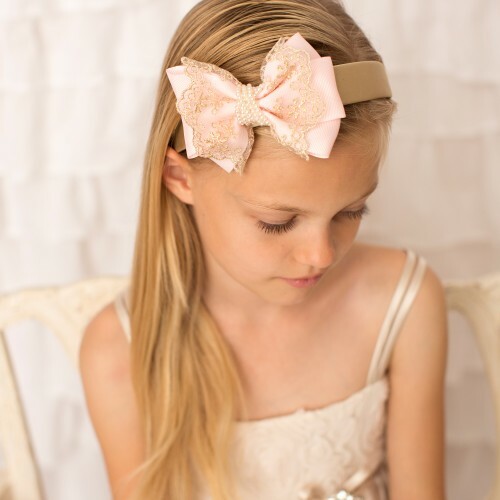 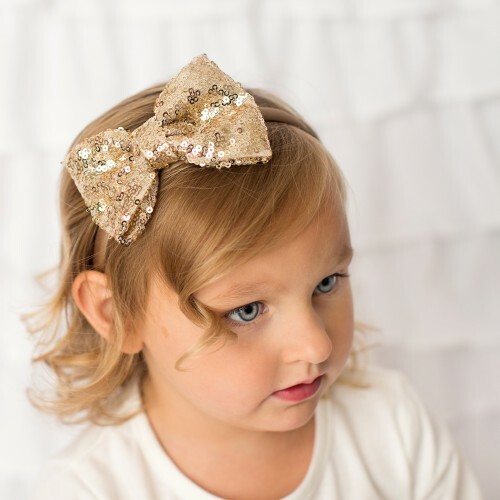 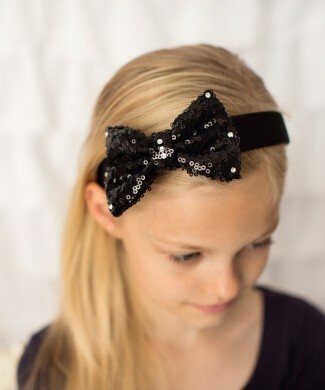 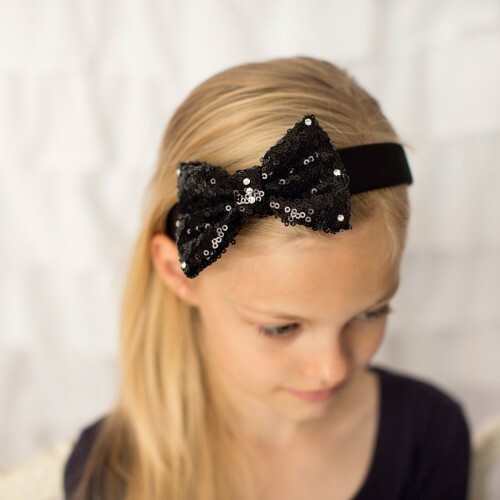 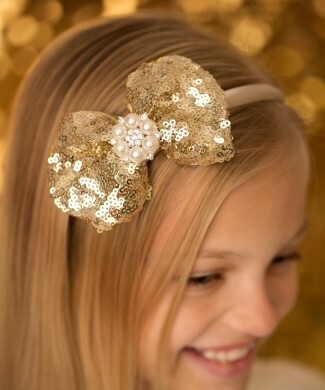 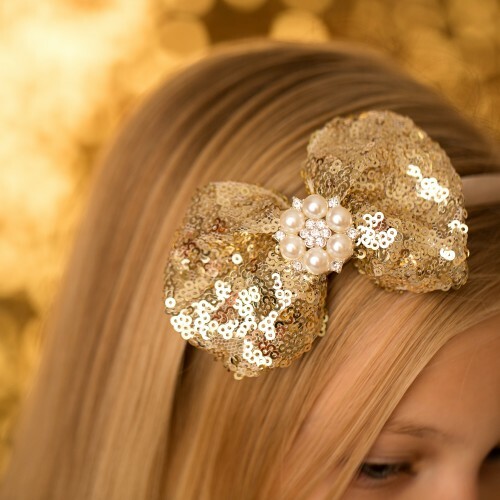 Glitter bow in gold decorated with rhinestone on a satin aliceband. 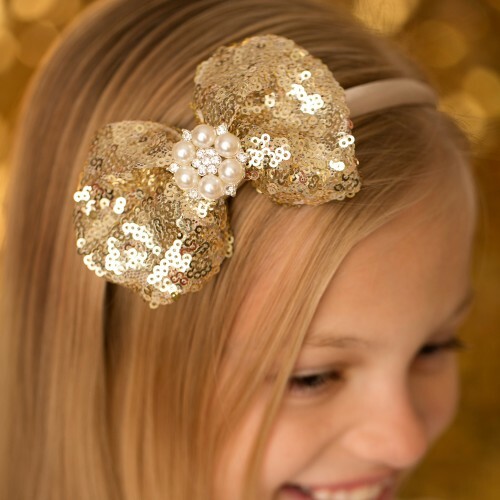 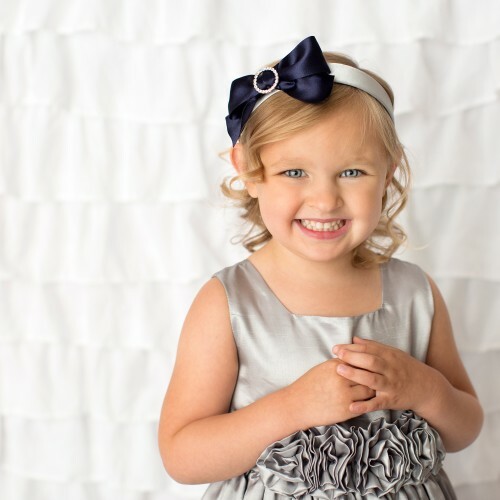 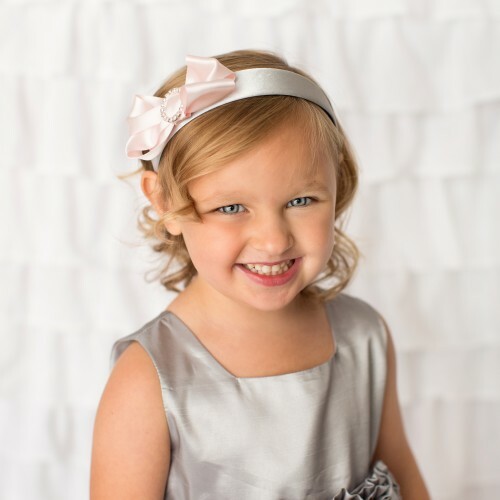 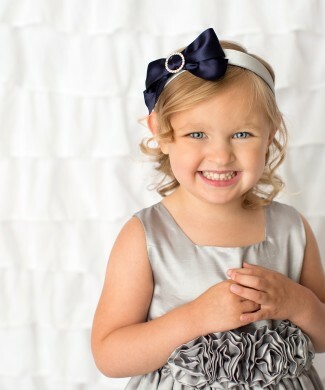 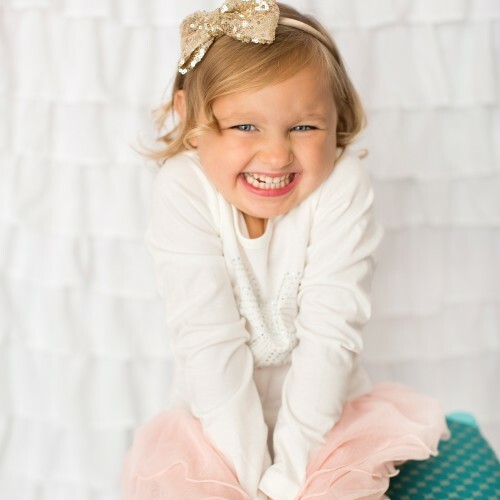 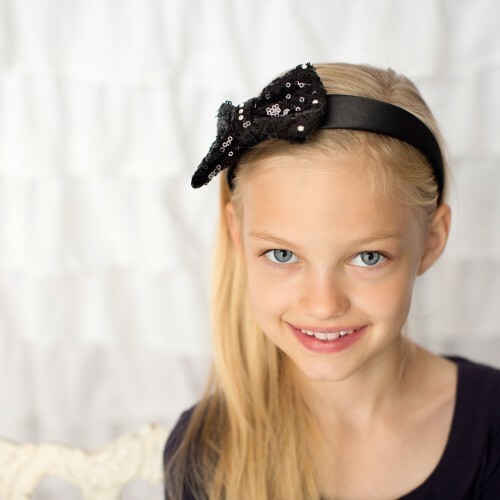 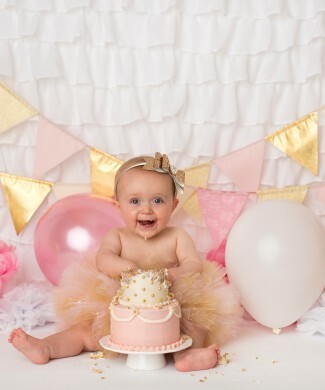 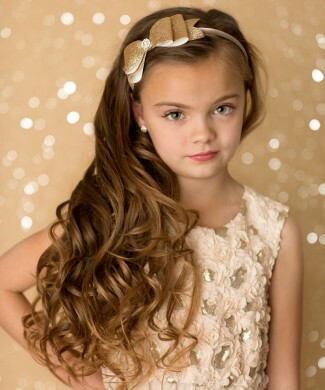 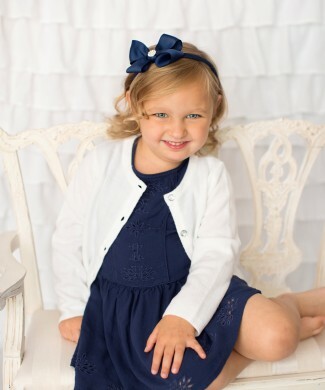 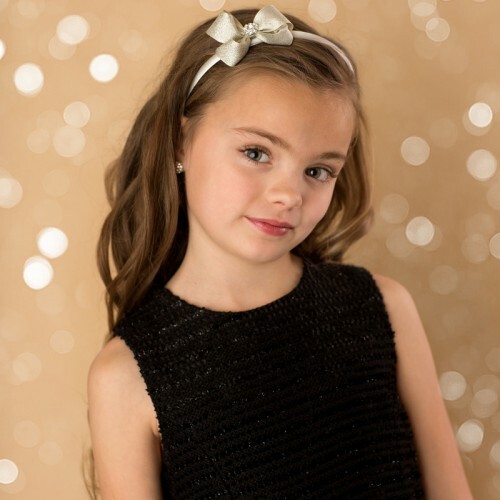 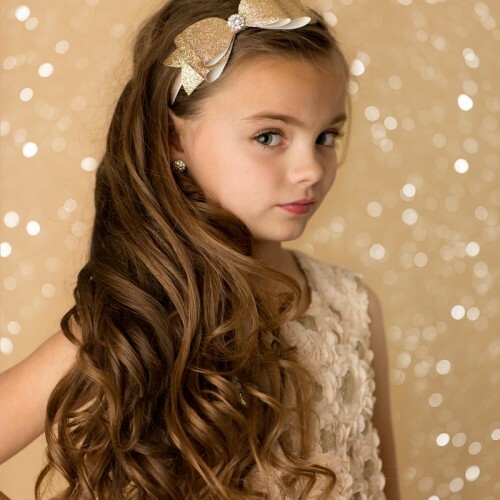 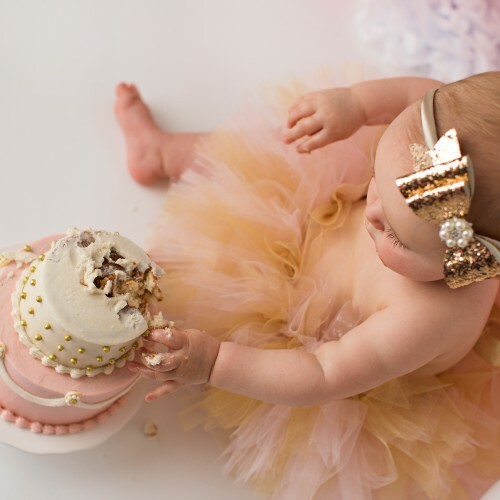 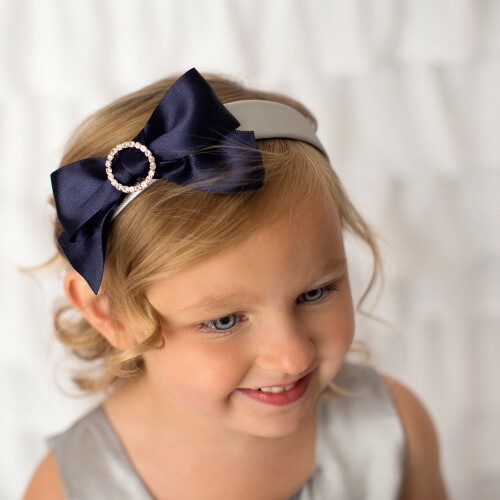 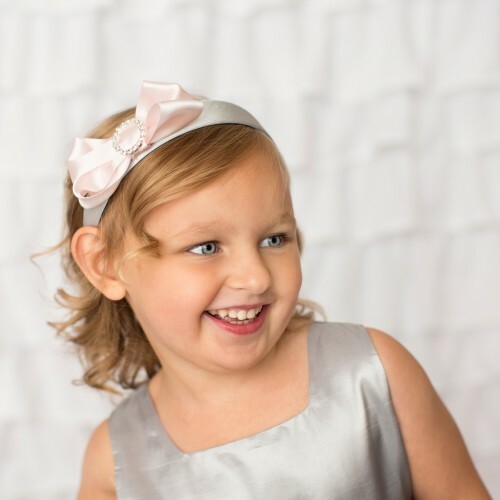 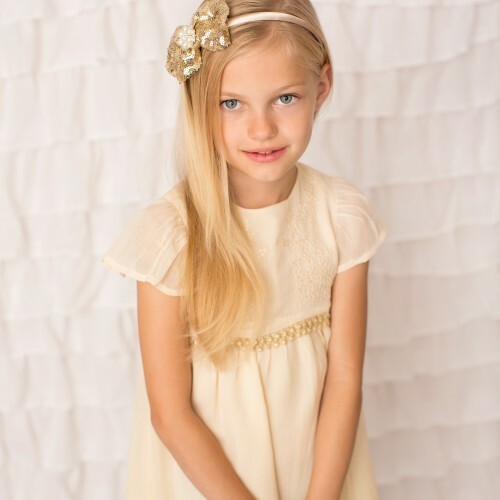 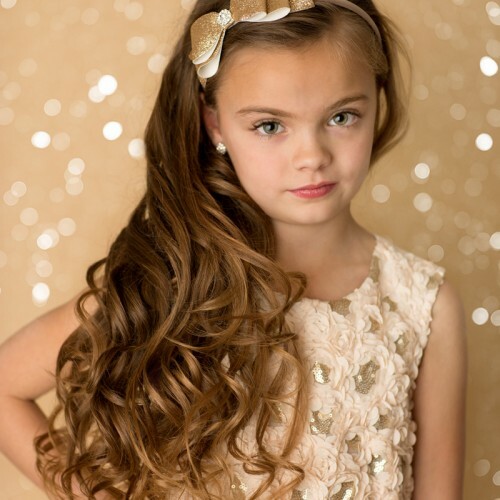 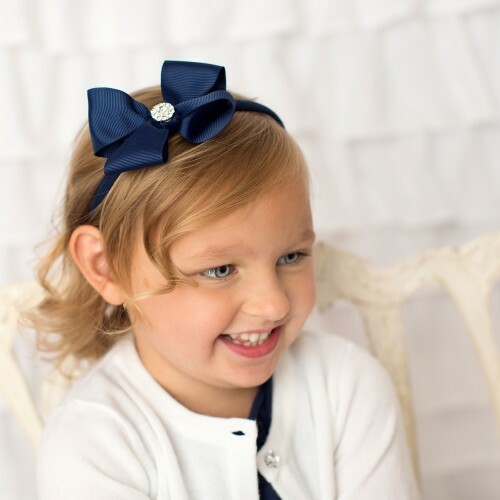 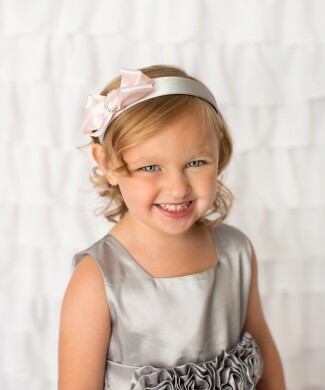 Gold sequin bow decorated with pearl and diamante rhinestone on satin aliceband. 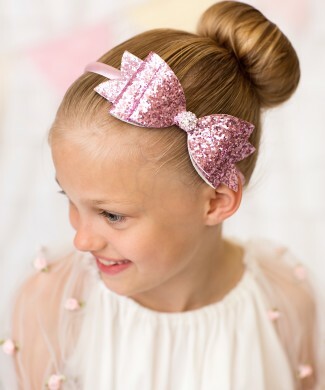 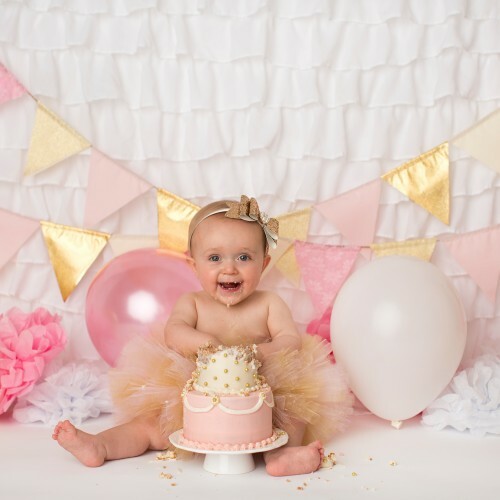 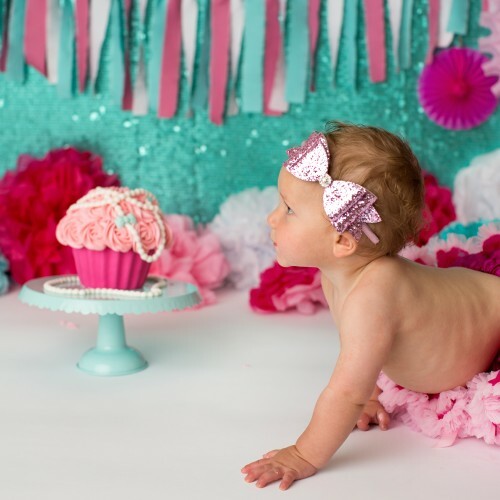 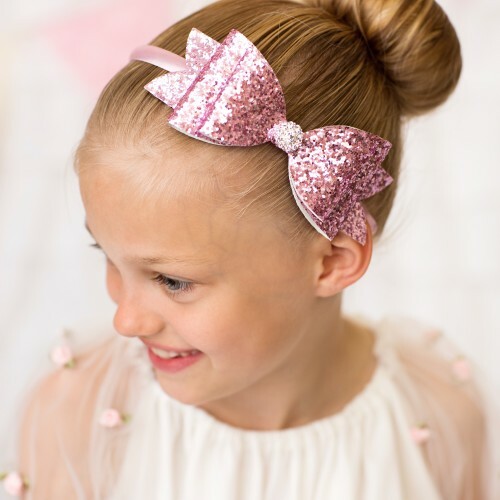 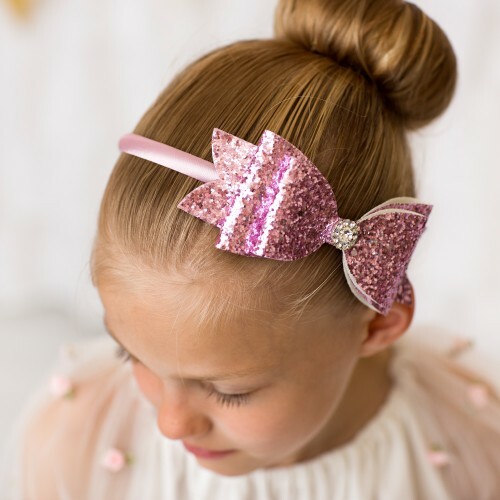 Large pink glitter bow decorated with rhinestone on a satin alice band.